Joseph A. Morin, 96, a resident of Spring Hill, FL and Cairo, IL, died Monday morning, July 15, 2013 at the Lutheran Nursing Home in Cape Girardeau, MO. Joe was born June 7, 1917 in Waynesville, IL. He was the son of L.H. Morin, DVM and Ada R. (Fulton) Morin. He grew up in Clinton, IL and graduated from Clinton High School. Joe graduated from north Central College in Naperville, IL in 1939 and received his Master’s Degree from the University of Illinois in Champaign in 1943. Joe coached at Farmers City, IL and West Frankfort, IL, and coached and taught at Bloomington High School, Bloomington, IL until his retirement. He served four years in the U.S. Navy as Lt JG and was skipper of his LST boat in the South Pacific during World War II. Joe was a 69 year member of Bloomington Masonic Lodge # 43 AF&AM, a member of the Cairo Elks Lodge 651, a member of the First Presbyterian Church in Clinton, IL and an extra class amateur radio operator, AA9HC. He was married to Dorothy Hankins of Vienna, IL in 1945. She preceded him in death in 1985. Joe is survived by his wife, Libby (Carter) Morin of Cairo, IL; a son, James Morin of Denver, CO, a sister, Leontine Cook of Springfield, IL; 5 grandchildren; 4 great grandchildren. 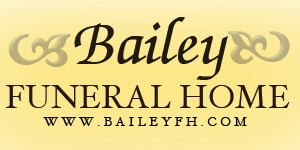 A graveside committal service will be conducted at 11 a.m. Saturday, September 7, 2013, at the Vienna Fraternal Cemetery. Masonic rites will be accorded. Military rites will be conducted by the Beggs-Gurley VFW Post 5222 and the Illinois National Guard Burial Honors Detail. The family will receive friends from 10:30 a.m. – 11 a.m. Saturday, September 7, 2013, at the cemetery. The family requests memorial contributions to: Magnolia Manor, PO Box 286, Cairo, IL 62914.